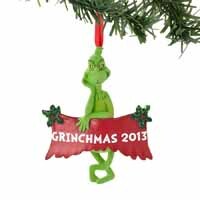 Grinch 2013 | Dr. Seuss Figurines & Ornaments Figurines | One Price Low Flat Shipping! 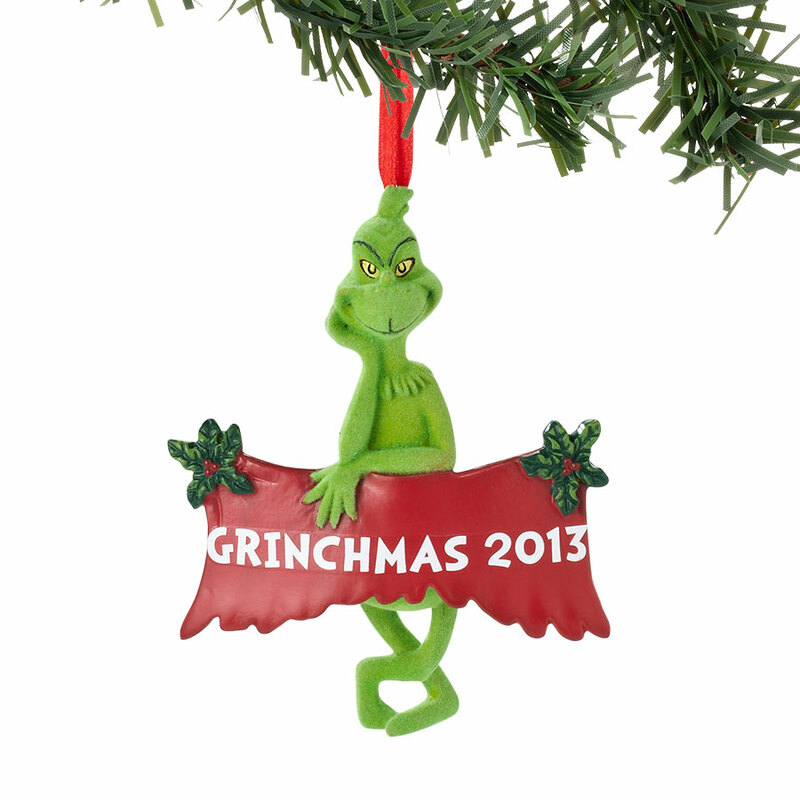 From the Department 56 Dr. Seuss Grinch Christmas Collection, Grinch 2013 Grinchmas Ornament. Made of plastic resin. Measures 4.5" tall. Comes with ready to hang red ribboned cord and is packaged in styrofoam. This collectible Dr. Seuss holiday ornament by Dept 56 features the Grinch and a red banner that reads Grinchmas 2013 and is decorated with green holly leaves on the top corners. Celebrate the holidays with your favorite Dr. Seuss characters and decorate your Christmas tree with them!